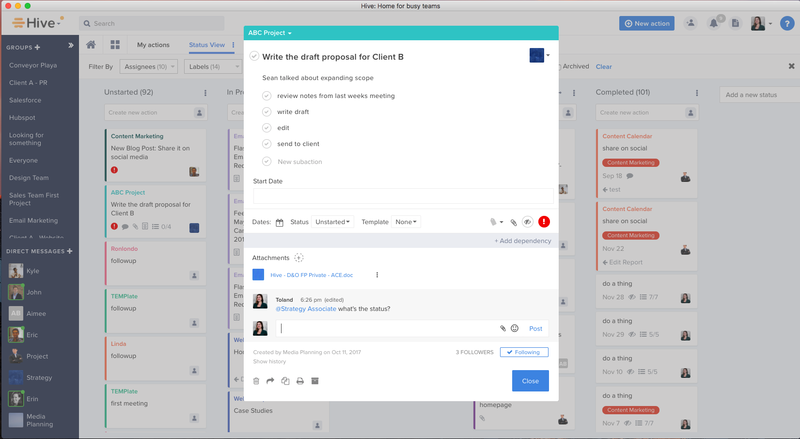 Hive is powerful, intuitive project management for modern business. 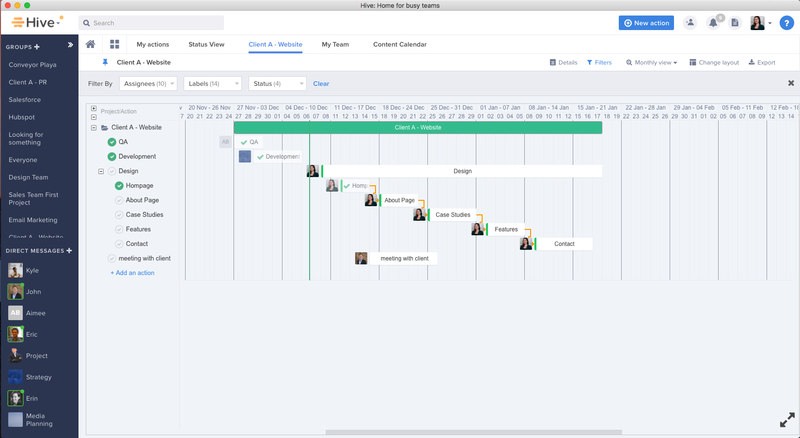 Our centralized platform enables companies to plan, execute, and track projects in real time. 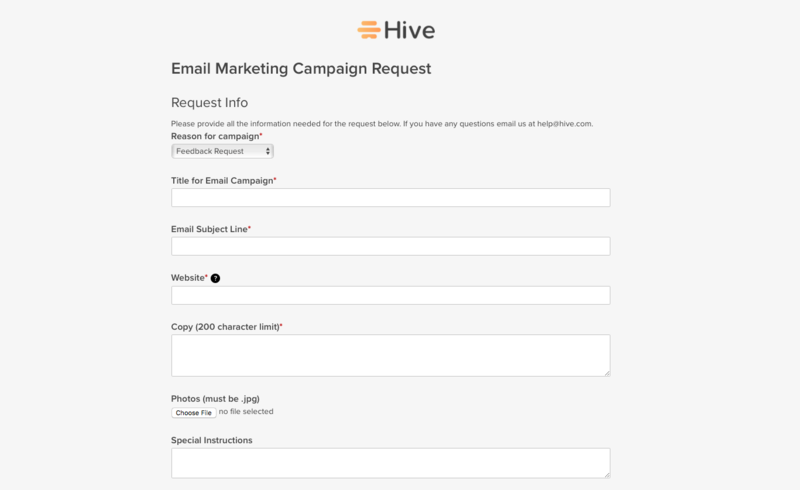 With group messaging, file sharing, and over 1,000 app integrations, Hive connects all aspects of your work. No need to switch between five different tools to get work done. Empower your business to get better results faster. Work together in Hive. 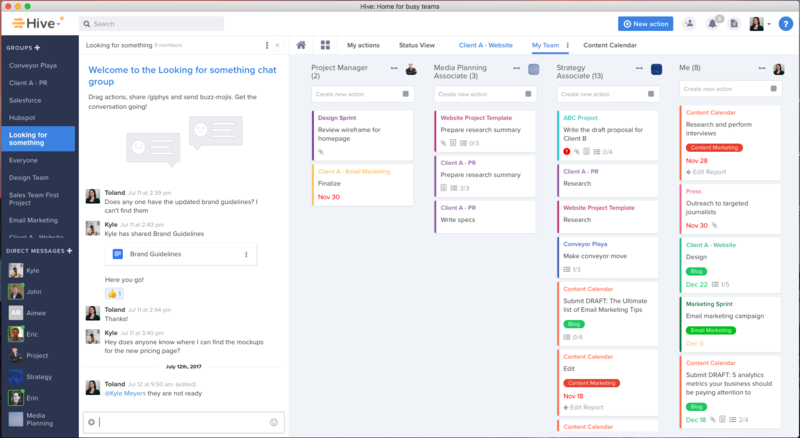 Hive is so intuitive your team will actually use it, but robust enough to manage the complex projects of a modern business.